As a first-time homebuyer in Los Angeles, you may be struggling to track down the best homes that fit within your budget while still providing you with a wide range of amenities that you are sure to enjoy. This can lead to undue stress and anxiety when it comes to finding a home for sale in the San Fernando Valley, which can hamper your search by taking all of the fun out of such an exciting time. 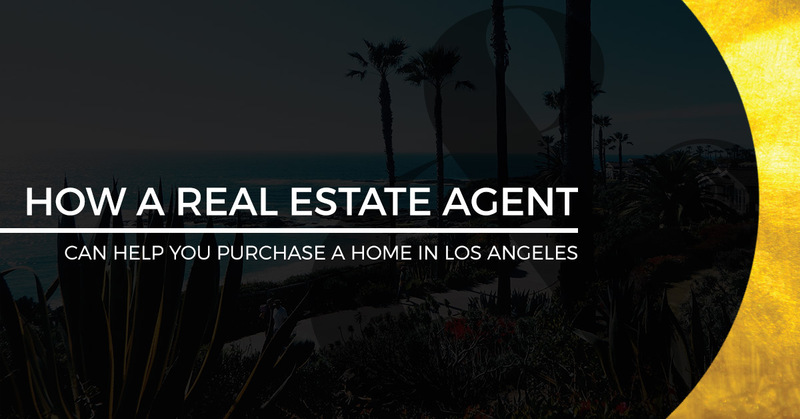 Instead, consider reading today’s informative article from Homes & Loans, where we will be talking about just some of the many benefits that you can expect to receive while working with a real estate agent in Los Angeles! If you are looking for the most experienced team of real estate agents that have helped countless families buy and sell homes in Los Angeles, then get in touch with the experts today at Homes & Loans. Possessing more than 30 years of collective knowledge in the real estate sector, we are confident that we can help you find a home that checks every box on your list of needs including location, price, amenities, and so much more. Learn how we can help you find your next home in Los Angeles by reading more below! One of the main factors that determine a home’s value in the San Fernando Valley is location. If you aren’t familiar with the area, then you may not know which neighborhoods to avoid, due to crime or lack of local transportation. However, with the help of professionals at Homes & Loans, you can easily find the most suitable homes for sale that are positioned in a neighborhood with low crime and a number of things to do in the surrounding areas. As we mentioned in previous articles, one of the best ways to get a better feel of how much you will be paying for a home is by analyzing whether the current market favors buyers or sellers. While you may be able to find a home that is reasonably priced in a buyer’s market, a real estate agent can help by negotiating on your behalf to ensure that you get the best price possible when it comes time to buy a home in Los Angeles. While you may feel comfortable signing closing contracts for a home that you are about to purchase, the truth is that many individuals unknowingly sign into contracts that come with hidden fees, which can add significant costs to the final closing price on a home. Instead, let the professionals at Homes & Loans handle the paperwork for you, so that you can spend less time worrying and more time enjoying your new home in the San Fernando Valley! These are just a few examples of how our team of real estate agents at Homes & Loans can help you when it comes time to buy or sell your next home. To learn more about our full offering of services, reach out to us today by visiting our website!